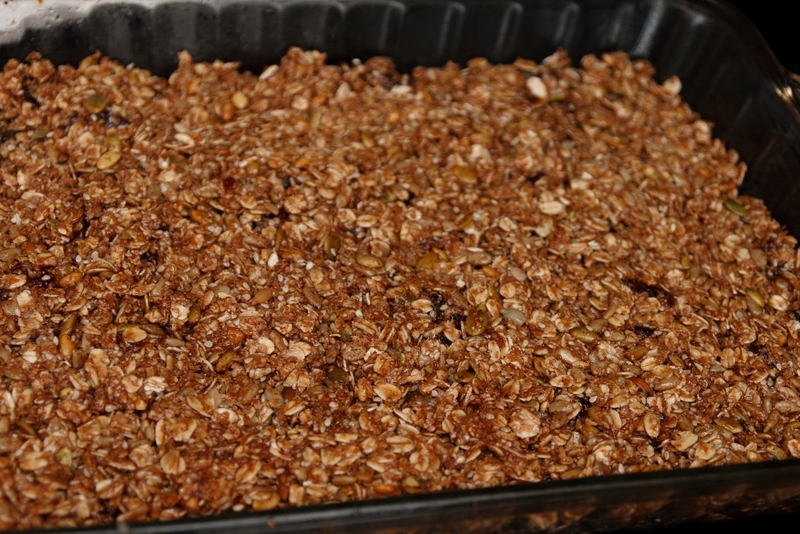 I'm on a bit of a homemade granola bar kick these days. 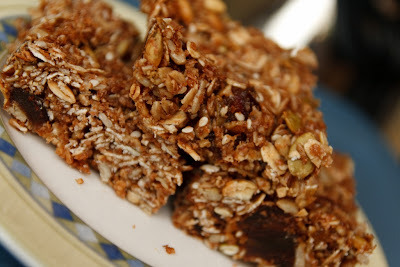 Since I'm not eating nuts these days, I've been on the lookout for recipes that can be adapted to incorporate seeds instead. This recipe comes from Canada's 150 Best Diabetes Desserts. I made these a few weeks back for snacks. The remainder of them are still in our freezer. Logan went wild eating this while I was making them. But then, in true toddler style, wouldn't touch them ever again once they came out of the oven... if anyone ever figures out the finnicky eating patterns of toddlers, let me know. I'd love to hear if anyone has any secrets! 1. In a small saucepan over medium heat, melt butter. 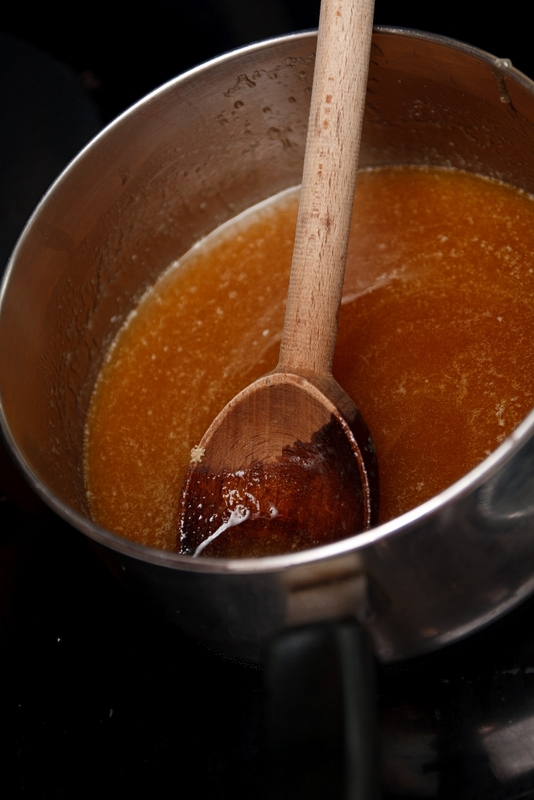 Stir in honey and brown sugar. Bring to a boil, about 3 minutes. 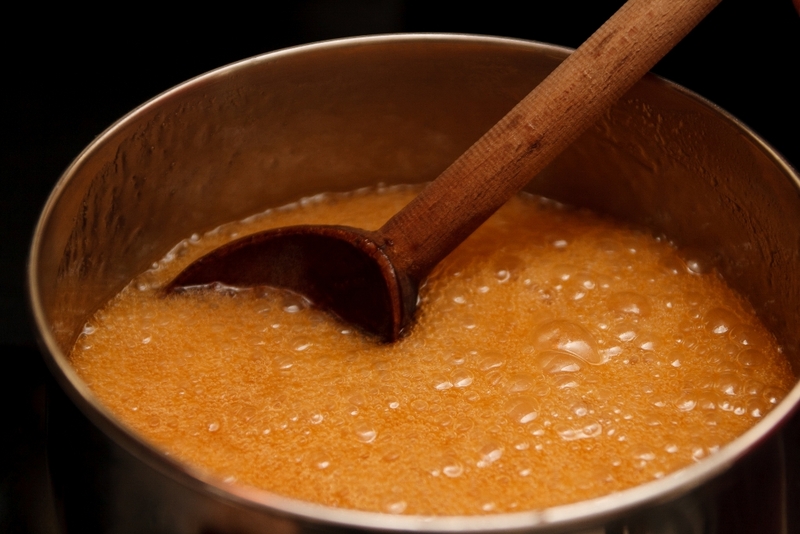 Simmer over low heat for 5 minutes. Let cool slightly. 2. 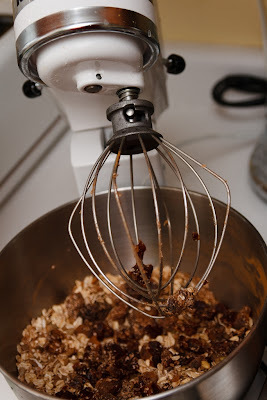 In a large bowl, combine rolled oats, bran, sunflower seeds, dates, pecans, sesame seeds and cinnamon. Gradually stir in sugar mixture. 3. Firmly press into a 13 x 9-inch baking pan, sprayed with nonstick spray, then lined with parchment paper. 4. Bake in preheated 350 degree Farenheit oven until golden brown, 15 to 18 minutes. 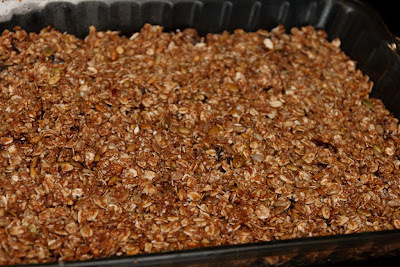 Let cool completely in baking pan before cutting into bars. We're on vacation for the next couple of weeks, so there may be a bit of a blogging lull. I will try my best to post from time to time nonetheless, but no promises.